Stonex S10 is a new generation of “active GPS” featuring a complete set of commands that allow the user to customize any software application. 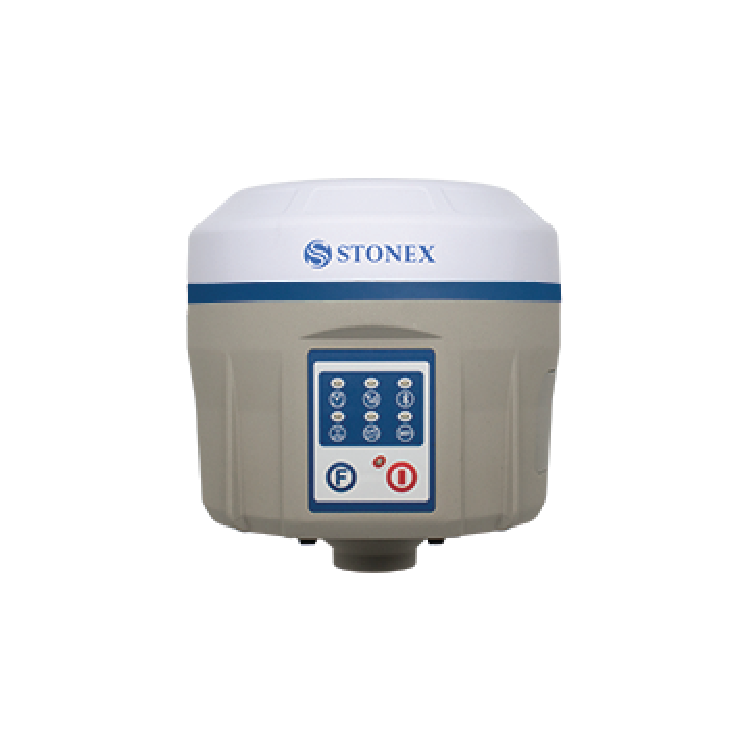 The Stonex S10 is an advanced integrated GNSS Receiver multi-constellation with advanced features like automatic leveling, Tilt & Go, and Web UI login. 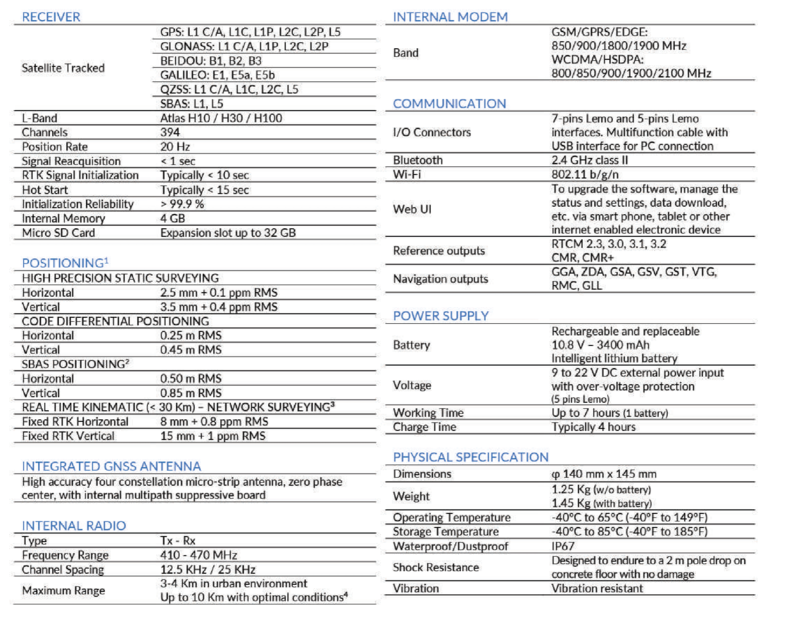 The sophisticated internal structure design organizes the internal GNSS antenna, GPS board, power board, RX/TX radio, smart battery, 3.5G module, BT module and Wi-Fi module in a way that optimizes performance, and power consumption. The Stonex S10 is from the CORTEX-A8 platform with onboard LINUX smart system. It is possible to develop and install essential applications that run inside the S10 ecosystem with the provision of a special SDK package. Such practice would result in a range of advanced applications. The Stonex S10A has all of the same features and benefits as the s10 plus additional correction capabilities via Atlas, a new feature that enhances the performance and potential of field surveying. 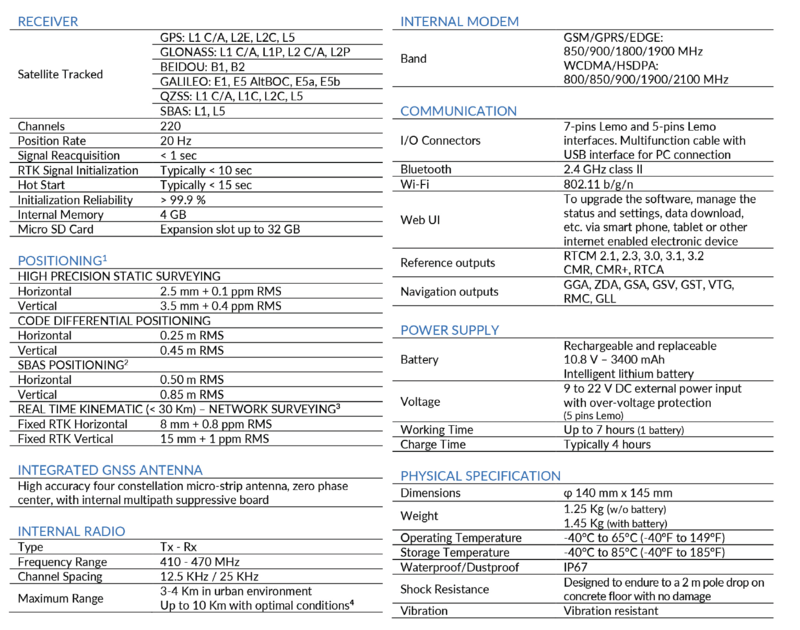 The S10A automatically select the best combination of GNSS signals with the possibility to receive Atlas® real-time corrections when the connection signals are interrupted or not available. aRTK is an innovative feature available in S10A that significantly mitigates the impact of land-based communication instability. aRTK delivered via satellite for uninterrupted centimeter positioning in areas where local RTK communication links are unstable. aRTK provides an additional layer of communication redundancy to RTK users, ensuring that intermittent data connectivity does not impact productivity. Thanks to aRTK the receiver is able to continue generating RTK positions in case the land-based RTK correction source becomes unavailable for few minutes. The Atlas® is a subscription for S10A aimed to achieve three different levels of accuracy depending on subscription type that you need. It’s perfect when working in difficult areas because it gives the precise positioning centimeters around the world.